This entry was posted on May 31, 2014. 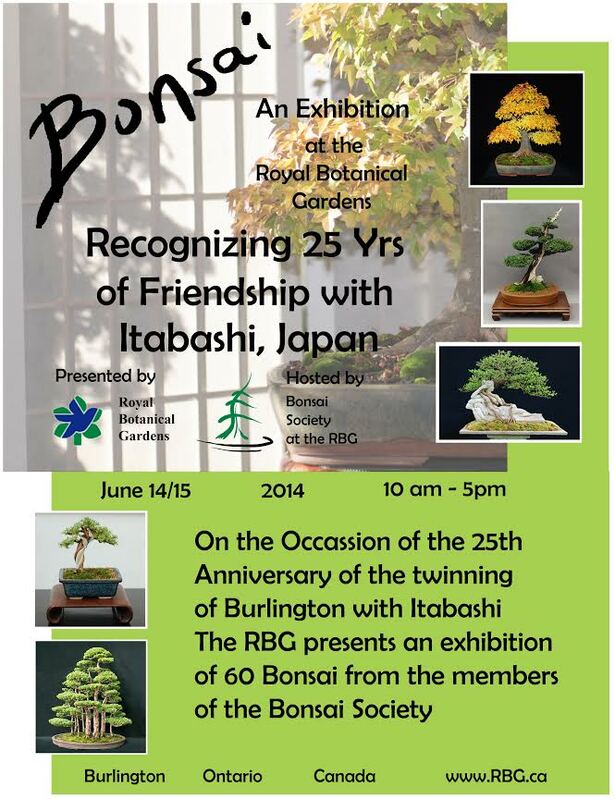 It was filed under Bonsai, Exhibition and was tagged with Bonsai, Burlington, Exhibition. Canada, Toronto. We met briefly at the bonsai show back in may. You were pretty busy with the photo sessions though. I have been following your page for a few years now and was wondering if you could pass on some advice regarding harvesting a tree from the wild. I’m planning a road trip up to Hudson Bay in a month. 17 hrs north. I’m looking to drive up to the tree line in Quebec where trees are naturally dwarfed. I’m not sure of the exact species I’m looking for. Probably a larch or juniper of some kind since they are common up there. Maybe a jack pine. I really appreciate any advice you may have to offer and look forward to your reply. Hi Josh, this sounds like an ambitious and exciting plan! Shoot me an email lakeshorebonsai@gmail.com and I’d be happy to chat with you about this.